Ham steaks are so versatile! 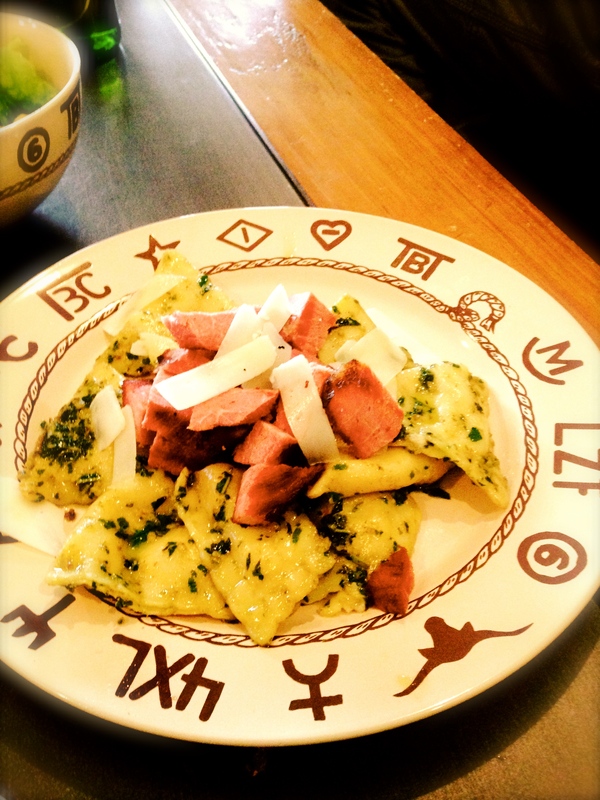 Mushroom ravioli with 3T pesto and grilled ham steaks. Another ham steak will be used in the morning in our delicious scrambled eggs!